As one of the top destinations for outdoor enthusiasts, Draper, UT, is packed with tons of gorgeous landscapes and heart pounding activities to soothe your adventurous soul. And at Volkswagen SouthTowne near Draper, UT, we want to help you dominate your next journey by equipping you with a reliable, used car. To make your search for the perfect ride even more enjoyable, we’ve stocked our advanced showroom with a diverse collection of dependable used and certified pre-owned vehicles. With our inventory, you’ll effortlessly identify the automobile that’s ideal for your upcoming jaunt along the terrain. 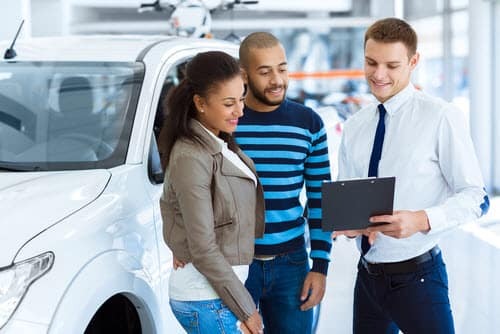 Once you dive into your next car-buying experience, it’s important that you choose a dealership that’s armed with plenty of options from which to choose. Luckily, that’s exactly what you’ll see when you set foot into our Draper used car dealership. By outfitting our showroom with a large selection of different pre-owned automobiles, we’re helping you choose the ride that can stay in pace with your busy lifestyle. So, regardless if you want a tough pickup, a sporty sedan, or anything else, you’ll stumble upon the model that’s suitable for your next road trip. On top of that, our friendly sales representatives are happy to provide you with details on the standard and available gadgets contained in your favorite used car. With our expertise, you’ll choose the vehicle that’s decked out with the tools you use most often during your commutes to work. Now that you’ve chosen a powerful, used car, you’re ready to get started on your financing or leasing procedures. To make every minute of this process satisfying, we’ve furnished our dealership with a team of specialists who’ll go above and beyond to assist you. First, we’ll sit with you individually and discuss more about the specifics of your budget. Once we’ve established that, we’ll craft a payment plan that fits your needs. That way, you’ll drive home knowing that you scored fair financing on your pre-owned automobile. There’s nothing more helpful than knowing what to expect for your car payments ahead of time. And to support you during your search for a capable, used vehicle, we’ve created a payment calculator. Simply fill out the form with details on the car’s price, your loan term, your down payment, and more. From there, you’ll be presented with an estimate of what your monthly dues on a particular used automobile may be. Nothing should hold you back from soaking up every minute of your excursion through town. And for compassionate automotive care, look no further than our trusted service facility. Here, our team of trained technicians will exceed your expectations during every checkup, repair, replacement, and anything else you may need. If you realize that you forgot to get your car serviced while you’re on your way to an important event, stop by our Service Xpress department. With the assistance of our professionals, you’ll be fixed up and ready to sail down the road in no time. Visit Your Used Car Dealer Draper, UT! At Volkswagen SouthTowne, we strive to supply our loyal customers with a sturdy, pre-owned vehicle that’ll carry you through every landmark in Draper, UT. So, whether you want to hike the steep slopes at Lone Peak or appreciate the gorgeous views at American Fork River, our used cars will tackle every obstacle thrown your way. Why wait around and miss out on the opportunity to snag a dynamic automobile? Stop by our showroom or schedule your test drive today!